outfit: blue striped top from msia, blue schoolgirl shorts, vintage rose necklace (self made), lace deer earings (self made), awesomely bling ring (Forever 21), vintage granny ring (self made), brown suspenders (rejected by my dad- he complained that the straps were too thin when i gave it him, so i'm keeping it, furry shoes from taiwan. doesn't rainbows make you happy? they do make me happy! love my awesome pet. meowwww. Girls have fetishes for many stuff. For me, my weak spots are so totally bags and shoes! The latest thing now seems to be Heavy Machine's coolicious shoes! Featured in Taipei times, is this awesome brand. 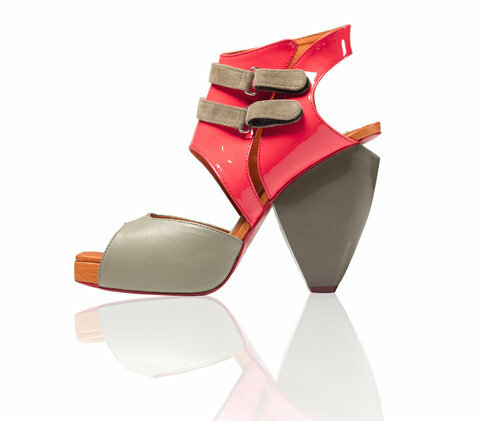 With just two collections so far, Heavy Machine’s industrial-inspired shoes have caught the eyes of fashion insiders. 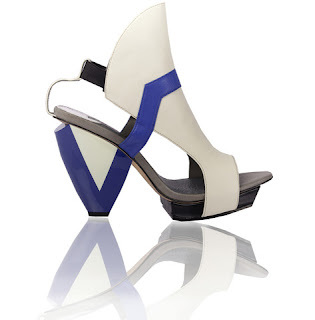 Sandals and pumps by the Taiwanese brand, which was launched in 2009, feature sculptural details like sharply angled resin heels and soaring platform soles. Feminine color combinations in jewel and sherbet tones offset the futuristic designs. The brand has been written up in Ars Sutoria, a leading trade publication, US Glamour, Japan’s So-en, and appeared on influential fashion blogs Style Bubble (www.stylebubble.co.uk) and Kingdom of Style (www.kingdomofstyle.net). Heavy Machine designers Yoyo Pan (潘國瑤) and Michelle Wu (吳怡慧) met four years ago. Both studied fashion design abroad, Pan at the Royal Melbourne Institute of Technology and Wu at the Fashion Institute of Technology in New York City. From the beginning of their friendship, the two talked about launching a line of shoes different from what was then available on the market. At the beginning, the two had to tone down some of their more exaggerated designs in order to make them manufacturable. “The footwear makers said they couldn’t actually make it or else the shoes would turn out completely different from our sketches,” Wu says. 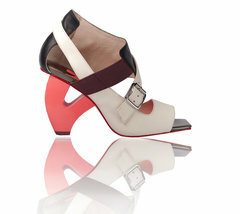 “At first we didn’t really understand the construction of shoes and just designed what we thought was cute,” Pan says. She enrolled at the Footwear and Recreation Technology Research Institute (台中鞋技中心) in Taichung, where she studied shoe engineering. The duo look up to designers who are known for their conceptual creations, including Martin Margiela, Nicolas Ghesquiere and Helmut Lang, and their influence can be seen in Heavy Machine’s innovative designs. But Pan and Wu’s brand has also earned kudos for its wearability. In one post, blogger Susanna Lau of Style Bubble pronounced a pair of shoes from Heavy Machine’s first collection “definitely comfortable” after a day spent walking around in them. I really like this pair! Love the different shades of brown that brings out the vintage feel of the ear studs! 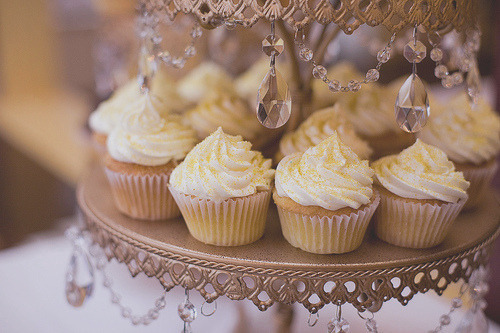 I know this is really random.. but, dont you think this tray of cupcakes look really pretty! 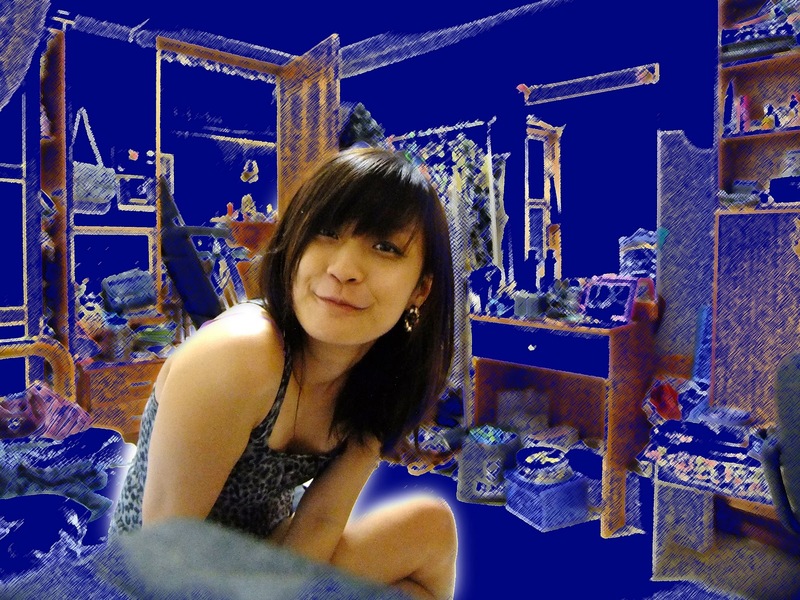 I havent blogged for mighty long. Work has made me lazy =p but since I have some time now, I'm gonna update some very very backdated photos, since chinese new year in fact. My not very bunny, bunny hairband for chinese new year!